The convenience of PROX technology for one door! HID's Edge Solo is a superbly featured Single Reader Controller administered using on-board web browser based software to accept any Industry Standard (wiegand or clock and data interface) reader. To simplify installation the Edge range of products are POE (power over ethernet) and provides up to 500mA to power a locking device without the need for a dedicated local power supply. Edge EVO Solo is an Edge Controller with an integral iCLASS reader for speedy and economical installation. By connecting the Edge Solo to the internet via a TCP/IP connection the system manager or maintenance engineer can add, delete and change cards and manage system features from any location in the World so long as you have access to the internet and know the IP address, user name and password. With no need to visit site to control/administer the system could we foresee a time when service engineers can work from the beach? Book me a hammock in Hawaii! 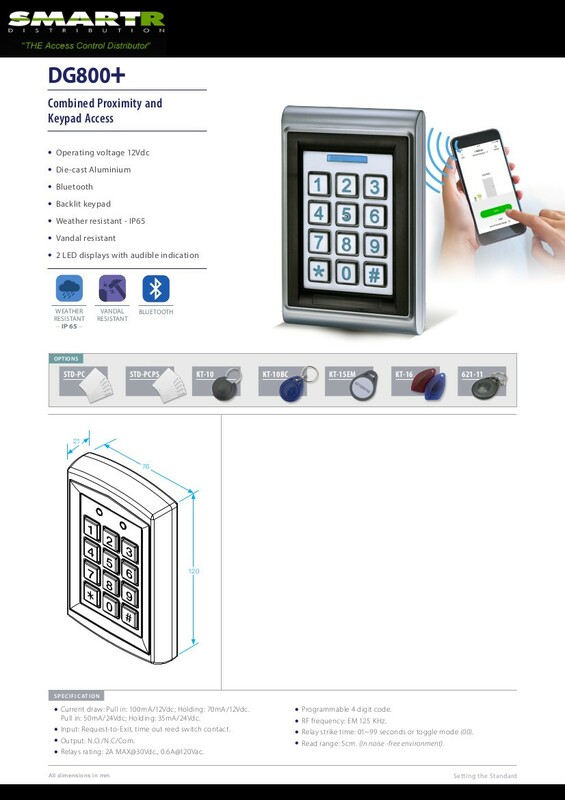 vandal resistant proximity card and keypad access control unit suitable for external applications. The unit accepts up to 500 users and provides entry via the use of proximity cards and/or PIN codes. The MIFARE 1000/VRSA is a vandal resistant MIFARE contactless card and keypad access control unit suitable for both internal and external applications. This aesthetically pleasing and robust unit features an attractive satin-finish metal enclosure and provides entry via MIFARE contactless smart cards and/or PIN codes for up to 2000 users. This system is particularly ideal for sites where MIFARE cards are already in use (photocopy control etc) and standalone access control is required to operate with the same cards.